2018 brought tremendous changes to the jury selection statutes. These changes provide you with all the language you need to make sure you are permitted to have an effective voir dire that is not arbitrarily limited in time or scope. However, the best way to ensure that you get all of the great protections that Code of Civil Procedure section 222.5 allows you, is to make sure you file a motion in limine so it can be heard at the same time as the other motions in limine and when you start voir dire, you know that you will be given the opportunity to fully question the jurors. All further statutory citations are to the Code of Civil Procedure. File your motions regarding voir dire as a motion in limine so they can be heard before you start the trial. The Final Status Conference, or whenever the motions in limine are heard, is the time that you want to make sure you have your motions heard to ensure you have effective voir dire. If you have an FSC, make sure you file your Motion in Limine Re: Voir Dire ahead of time. If the court hears the motions on the first day of trial, make sure you have this prepared and ready to go. During any examination conducted by counsel for the parties, the trial judge shall permit liberal and probing examination calculated to discover bias or prejudice with regard to the circumstances of the particular case before the court. The trial Judge shall not impose specific unreasonable or arbitrary time limits or establish an inflexible time limit policy for voir dire. To help facilitate the jury selection process, at the earliest practical time, the judge in a civil trial shall provide the parties with both the alphabetical list and the list of prospective jurors in the order in which they will be called. You are entitled to submit a jury questionnaire and the court must give you reasonable time to evaluate the responses before oral questioning begins. A judge shall not arbitrarily or unreasonably refuse to submit reasonable written questionnaires, the contents of which are determined by the court in its sound discretion, when requested by counsel. If a questionnaire is utilized, the parties shall be given a reasonable time to evaluate the responses to the questionnaires before oral questioning begins. The court may require a prospective juror to complete such additional questionnaires as may be deemed relevant and necessary for assisting in the voir dire process or to ascertain whether a fair cross section of the population is represented as required by law, if such procedures are established by local court rule. Always ask for a mini-opening in your motion in limine. You are entitled to one and it’s a great way to get the jury involved in your case early, before you start questioning them. I cannot stress enough how important the mini-opening is. You get to make a brief statement to the jury about the issues in the case; you should identify the good and the bad. Be up front; that way when you are questioning them, they will know why you are asking the questions you are asking, and it will put them in context so you will get better responses. Discuss all of these requests with the court as much in advance of voir dire as you can. That way everyone knows the parameters or (non)parameters of the jury selection. Bringing these issues ahead of time, before voir dire, and having a good discussion with the court about how the voir dire process will proceed, will help the process run much more smoothly for everyone: you, the defense, the court, the jury. This will take a lot of the unknown out of the jury selection for you and ensure you have a clear path to conduct the best voir dire that you can. General Disqualification: Sections 227(b) and 228: This would apply to a jury who does not have the qualifications to serve as a competent juror. (§ 228a.) This would also apply to someone who has an incapacity so that they are incapable of performing their duties of a jury without prejudice to the substantial rights of the challenging party. This would be used to challenge someone who does not speak or understand English, or does not do so competently so they could fully perform their duties. Enmity is defined in Merriam-Webster’s Dictionary as “a very deep unfriendly feeling.” (2018 Merriam-Webster.) Implied bias means that the court has to consider not just what is said, but how it is said, the tone of voice, the body language. Simply asking a person if they can be “fair and impartial” is not probing whether or not they have an implied bias. In order to properly determine whether or not a juror has an implied bias, you must be able to provide them the material facts of the case, so you can determine if that person holds an implied bias. Let the defendants go first; they may have challenges for cause you agree to and you will also get a preview of who they don’t want on the jury. Often, in multi-party cases such as employment cases, defendants try to claim that there are “multiple sides.” This, despite the fact that they have provided a joint defense throughout the case. The law is clear; if there are multiple parties, the court should divide the parties into sides, and give the same amount of peremptories to each side. Therefore, there may be two defendants, but they are on the same side. If there are two or more defendants, the judge divides all the parties into sides and each side gets eight peremptory challenges. In the midst of all the trial preparation, securing your witnesses, and getting your exhibits, sometimes jury selection can be upon you before you had a chance to prepare. However, for this most important part of the trial, you must be focused and ready. If you can, try to go to a jury selection that your assigned judge handles before your FSC; that way you know what particular methods the judge uses. If you are not assigned a judge until the last minute, then go online to see the judge’s rules, and call the clerk if possible for some tips on the judge’s particular method for proceeding with jury selection. Make sure you prepare your motion in limine addressing all of these issues in advance. Have a good discussion with the court beforehand because once the jury is in the box, the court will want to move quickly. No matter how much time you have, don’t worry, focus on the jurors once they start coming into the courtroom and keep your focus on them at all times during jury selection, whether you are questioning them or the other side is conducting their voir dire. Listen to the jurors; they should be talking more than you. Make the jurors feel comfortable so that they can open up. Take the time and spend the time on this most important part of the trial and you will be way ahead of the game as the trial progresses. 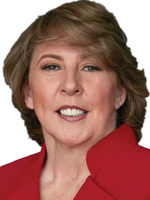 Maryann P. Gallagher owns the Law Offices of Maryann Gallagher, in Los Angeles. She was CAALA’s 2016 Trial Lawyer of the Year. She currently serves as an Emeritus Member of CAALA’s Board of Governors.